Carol begins in the days leading to Christmas — all those reds and greens!— because the lonely season is a fitting time for two longing souls to meet and fall in love. 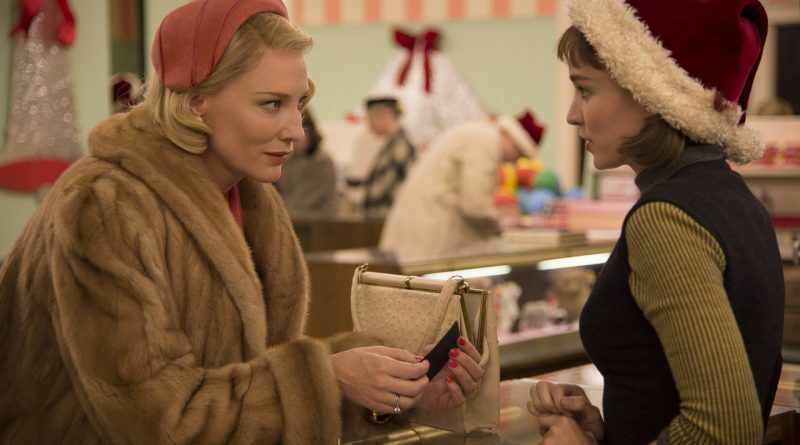 Carol is a Christmas movie: the melancholy, the longing, the flashes of joy and anticipation, the rushes of despair. And, finally, hope — as a new year unfolds and love steps out of the shadows.